A BBC Arabic correspondent was attacked on air in the Israeli city of Ashkelon, just outside Gaza, while reporting on the ongoing Israeli-Palestinian conflict. 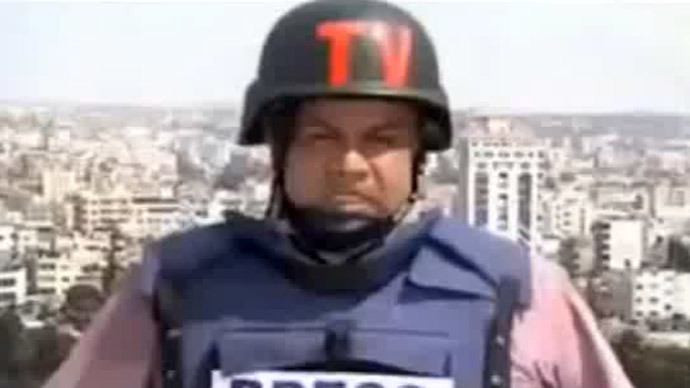 The journalist, Feras Khatib, was wearing a PRESS vest during the live report in the Arabic language when a man, apparently an Israeli, approached and violently shoved him sideways, as seen on the video posted on YouTube. The attacker was quickly pulled away from camera view by another member of the BBC team, while Khatib continued his reporting. The incident took place in Ashkelon, just north of Gaza, according to a BBC Arabic spokesman. The attacker reportedly left right after the incident. Khatib "was manhandled by an angry Israeli...Feras was unharmed and will continue reporting as normal,” the channel said in a statement. Meanwhile, Al Jazeera's office in Gaza was fired at on Tuesday. The network blames Israel for the attack. "Two very precise shots were fired straight into our building," Al Jazeera’s Stefanie Dekker said. "We are high up in the building so we had a very strong vantage point over the area. But we have evacuated." 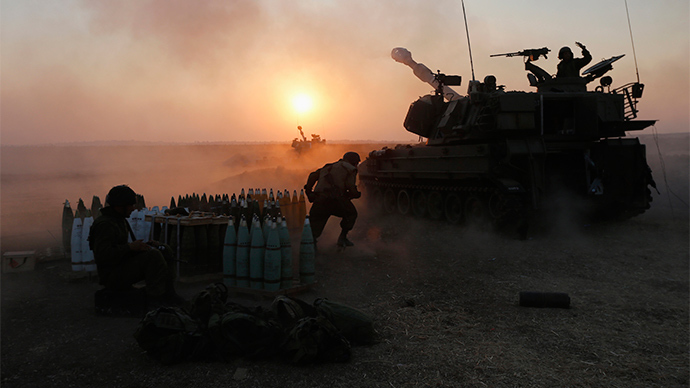 Tuesday saw the Gaza conflict move into its third week. According to the Gaza Health Ministry, the number of Palestinians killed has risen to 633 – the vast majority of whom are civilians. Overall, five mosques, a sports stadium, and the home of a deceased Hamas military chief were hit on Tuesday. 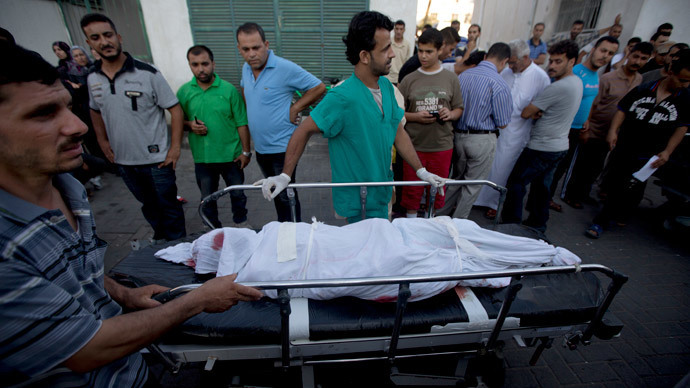 Meanwhile, 29 Israelis have been killed – two of them civilians. Two soldiers were also killed on Tuesday, according to Tel Aviv. This death toll is the highest number of Israeli military deaths since the 2006 Lebanon war.